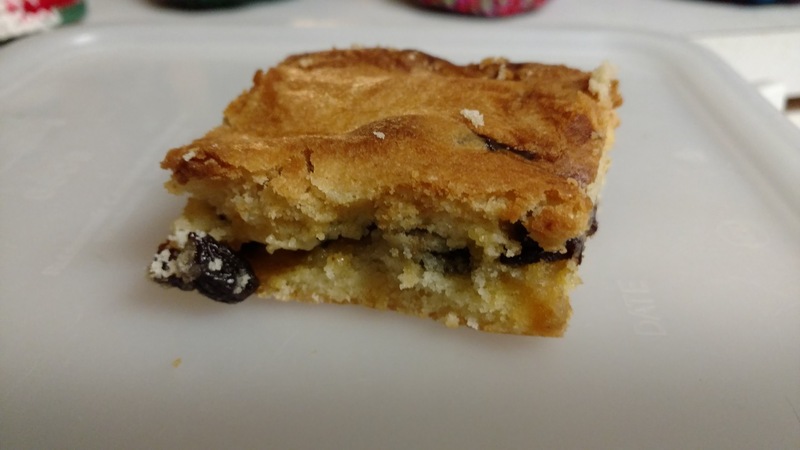 So I had a great time making these raisin bars. It is a sugar cookie bar recipe out of Food Network Magazine. I added half the dough, then I added a raisin filling, then top with remaining dough. Next time I will need more raisin filling. It did turn out really good.